The president’s budget outline, presented on Monday, includes a massive public works infrastructure program, a boost in military spending and a tax hike for the wealthy. Grassley says it will have no chance in the Republican-led House or Senate. During his State of the Union Address, President Obama suggested eliminating the tax break on 529 college savings plans and using it to offer free community college tuition. A backlash followed and the proposal was withdrawn a few days later. Grassley says he’s already helped to craft new legislation to bolster those 529 plans, which include College Savings Iowa. 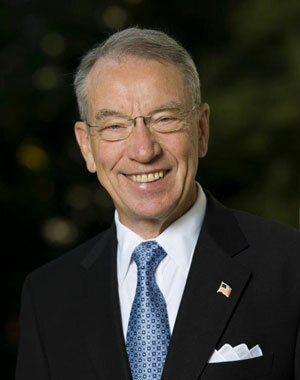 “Congress wants to show families that we support savings for education,” Grassley says. “We want to keep 529 plans. We want to make them even more appealing.” The College Savings Iowa program was created in 1998 and now has a fund worth more than three-and-a-half billion dollars, as parents and grandparents save for college for their kids and grandkids.